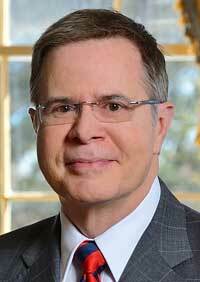 About 60 people gathered at New Albany’s Magnolia Civic Center Monday morning as Mayor Tim Kent and Ole Miss Chancellor, Jeffrey S. Vitter, signed a partnership agreement. Dr. Vitter and Mayor Kent spoke during the event, as did BNA Bank President Bo Collins, New Albany Community Development Director Billye Jean Stroud, and Dr. Katrina Caldwell, who is the Ole Miss Vice Chancellor for Diversity and Community Engagement. 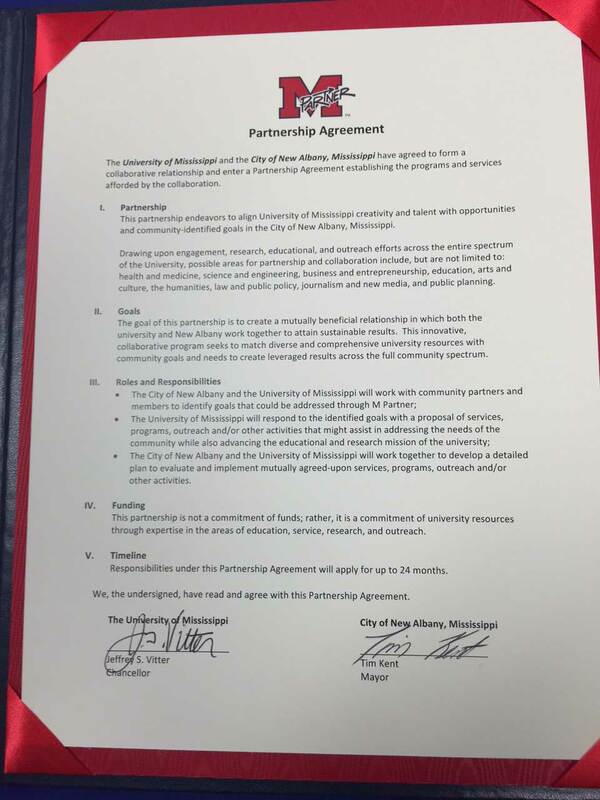 Two other Mississippi cities — Charleston and Lexington — are also in what Ole Miss describes as the M Partner pilot program. Charleston had an estimated 2016 population of 2,010 and Lexington had a 2016 estimate of 1,573. The census bureau estimates that both cities lost population after the 2010 census. New Albany had a 2010 population of 8,034 and a 2016 estimate of 8,786, a growth of 9.4 percent. Charleston and Lexington are both “Delta” towns. New Albany is a “Hill Country” town; thus, a diverse sampling of Mississippi communities. Dr. Katrina Caldwell is the director of the M Partner program. A native of Memphis, Dr. Caldwell was previously the Assistant Vice President for Diversity and Equity at Northern Illinois University. She received her bachelor’s degree at Spelman College and her master’s and Ph.D degrees from the University of Illinois at Chicago.